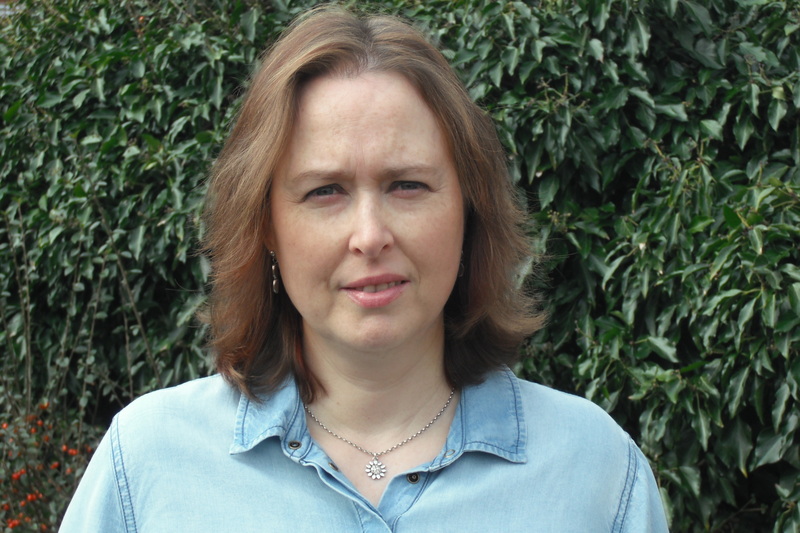 This is the first of my Author Spotlights and my guest this week is contemporary romance author, Helen Pollard. Welcome to ‘My Writing Life,’ Helen. Deep and decisive, the voice startled Laura from behind as she loaded her luggage onto her hard-won airport trolley. “No, I don’t think so.” She swung round to confront the voice’s owner. Unnerved to find him towering over her, she took a step back, stumbling over her trolley in the process. With lightning speed, he reached out to catch her arm, his grip strong as he helped her regain her balance. When she was upright again, she took in piercing blue eyes, thick dark brown hair, a hint of stubble on a tanned face—and felt an immediate jolt of attraction. Laura ignored it. “I can manage, thank you,” she snapped, thinking she wouldn’t have tripped if he hadn’t surprised her like that. Pushing away long strands of chestnut-brown hair that had dared escape their ponytail, Laura returned his gaze. “No, this is definitely mine.” She was hot, harassed, and late. The last thing she needed was a futile argument over her own luggage! “Help yourself.” Unable to disguise her impatience, Laura waved at it, adding, “But I am in a hurry.” She winced at the hostile tone in her voice, but she really didn’t have time for this. Tapping her foot in irritation, she waited to be proved right as he crouched over her trolley. “Would you care to look?” he asked. Laura’s foot stopped tapping. Recognising undisguised triumph on his face, she read the label over his shoulder with trepidation, but there it was in black and white—Daniel Stone, London Gatwick to Porto. The heat that rose in her cheeks seemed to burn right through her skin. “But it’s the same as mine!” she blustered, watching with embarrassment as he hoisted the heavy bag from the trolley with ease. Laura spun around to see her bag riding forlornly around with the few that were left. Mortified, she opened her mouth to apologise. But he spoke first. “Personally, I would advocate that old saying ‘More haste, less speed. '” His tone softened a little as he added, “I’m sorry, but you’re not the only hot, tired person whose flight was delayed, you know.” And off he strolled through the terminal, his bag flung over his shoulder, without a backward glance. I visited the area of northern Portugal where the book is set a couple of times. It was so beautiful and friendly there, it stayed with me until my imagination came up with the characters and story to go with it. For me, it’s very important. Or put it another way – I wouldn’t have the courage to write about a place I’d never visited. I know it’s possible to research everywhere on the internet nowadays, but I like my stories to be as realistic as they can be, so if I hadn’t been somewhere, I wouldn’t have the confidence to know if I was being accurate enough. I’d always worry that I’d made some awful gaff! Plus, it’s not just a question of describing the facts. If you’ve actually been there, you can give a real sense of the place – sights, sounds, smells, the whole experience. Your characters can convey what strikes them most about it, what they like best or least. To be honest, it’s a good few years since I went to northern Portugal, but I wrote a rough draft of Holding Back soon after, so I knew that what I wrote back than would deliver the feel of the place. I did do a little internet research to make sure nothing I described had changed drastically, though. At this stage, I have plenty of ideas whizzing around in my head … it’s finding the time to work on them that’s the problem! For me, a story usually starts with a singular thing, something specific that strikes me – a place or a scene – and then I weave something around that. For the novel I’m working on at the moment, I had the opening scene in my head for years, but for some reason I couldn’t do anything with it until I came across a possible setting … and then suddenly everything clicked into place. Once I started writing that opening scene, because I could picture the setting so clearly in my mind, all the characters just seemed to come to life and do their own thing! Like many writers, I have a day job, family, elderly parents … so I would say six to nine months for a first draft. How many more drafts after that? Don’t ask! I’m a compulsive edit-and-polisher and can spend months honing it. It drives me mad if a sentence niggles at me because it doesn’t sound quite right. I’ll tweak and tweak until it screams for mercy! The up-side is that by the time I send it off, I know it’s in as good a shape as it was ever going to be. Getting started – the first page, the first chapter. It’s so important to get it right, because you need to hook the reader straight away. And then knowing when to finish polishing. I need to learn to step away and leave the poor thing alone! The unexpectedness of it. I don’t do a detailed outline at the start – I’ll have a basic premise in mind, and certain points or events that I definitely want to get to, but beyond that, I tend to allow my characters to take me where they want to go. It’s more fun and certainly more interesting that way … unless they get too out of hand! The two books I’ve had published so far are romances, but they are very different in season and setting, and the characters are different in personality. I wouldn’t necessarily hold myself to romance as a main theme in the future, but I suspect an element of it will always tend to creep in. At the moment, I’m polishing up a manuscript that I actually wrote before my two published romances. It’s set in the Loire region of France (and Birmingham, but that doesn’t sound as exotic, somehow, does it?) This one isn’t a straightforward romance – I guess it’s contemporary women’s fiction with humour, and just a hint at romance … which makes it more difficult to find a home for. But I personally love it, so I’m going to keep trying. 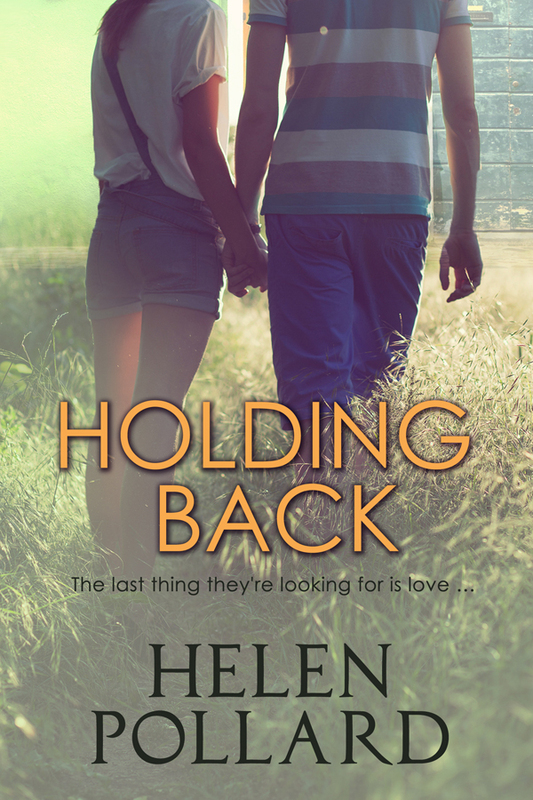 Helen Pollard writes contemporary romance with old-fashioned heart. She believes there will always be a place for romantic fiction, no matter how fast-paced and cynical the world becomes. Readers still want that feel-good factor – to escape from their own world for a while and see how a budding romance can blossom and overcome adversity to develop into love … and we all need a little love, right? A Yorkshire lass, Helen is married, with two teenagers and a psychotic cat. When she’s not working or writing, it goes without saying that she loves to read. She also enjoys a good coffee in a quiet bookshop, and appreciates the company of family and close friends. « Fancy Being The Author in the Spotlight? I liked this post. It has got me interested in an author I have not read before. I enjoyed the excerpt an thought the questions were thoughtful demanding a like response. Thank you. A good idea for a regular feature. Hi Rosalind, Glad you enjoyed the interview. Julie certainly posed questions that made me think! I’ve had the pleasure of reading Ms. Pollards first novel, Warm Hearts in Winter and I’m currently half way through Holding On. Both are beautifully written romances that I’ve very much enjoyed. What a great idea, to include an excerpt of the author’s latest work! The excerpt is enticing…added to my TBR list! Thank you Julie for sharing so generously. That would be a great tagline – Writer of Enticing Contemporary (insert your type here) Romance 😉 and would apply to us all, of course!